Pasco County Fire Rescue is rolling out $18,000 in carbon monoxide detectors to better respond to calls. 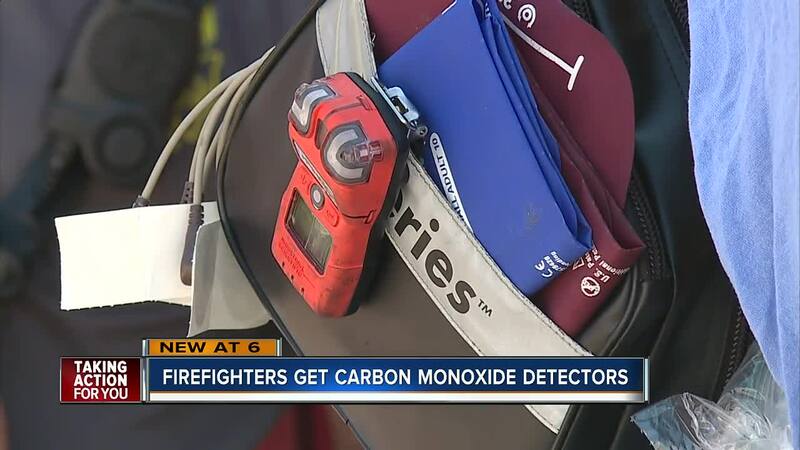 With this technology on their gear, responders will have a better idea what they’re walking into - giving them the ability to respond appropriately to different situations. And get people the medical care they need, faster. PASCO COUNTY, Fla. — Pasco County Fire Rescue is rolling out $18,000 in carbon monoxide detectors to better respond to calls. With this technology on their gear, responders will have a better idea what they’re walking into - giving them the ability to respond appropriately to different situations. "We are not going in there and becoming victims ourselves," Shawn Whited, Pasco County Fire Rescue's training chief said. And get people the medical care they need, faster. A spokesperson for Pasco County Fire Rescue says this is one of the first departments in the Tampa Bay area to equip every one of its engine and rescue team with this technology. Cathy Gunn was hospitalized for carbon monoxide poisoning in August and considers herself lucky to be alive. She says she was exposed to carbon monoxide for more than three hours. Now, three months later, she's still going to weekly cognitive therapy sessions. "A lot of my life centers around rehabilitation. You know, trying to speak again, trying to not have chest pressure, trying to not have headaches," Gunn said. Gunn accidentally left her keyless ignition car running in a closed garage, something Pasco County Fire Rescue says they’re seeing more often. “We’ve had several cases in the last couple of months," Whited said. Here's where drivers can run into problems. In keyless ignition cars, cases have been reported nationwide of drivers parking their car in the garage and accidentally leaving it running. Then filling your garage and then home with carbon monoxide, which can be deadly. In some hybrid vehicles, if you leave your key in the car, once the battery gets low, the car automatically turns back on. "The engine is super quiet on these vehicles," Gunn said. "This was too easy. Way too simple. More people are going to die from this." Pasco County Fire Rescue offered to demonstrate, in real time, how quickly dangers can build. In the first 30 minutes, carbon monoxide levels rose to 120 parts per million. "So that’s dangerous right there. 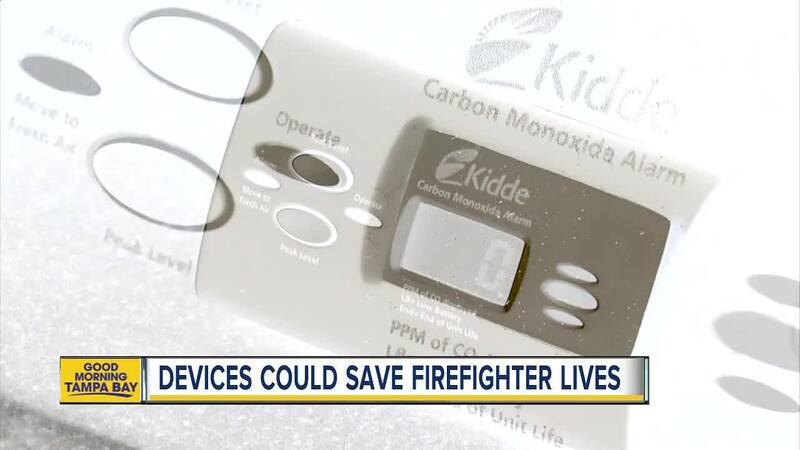 That will get people to start seeing symptoms of carbon monoxide poisoning," Whited said, rattling off nausea, vomiting and headaches as symptoms. "And that’s only half an hour," he reiterated. Gunn fears there could be more victims and encourages people to put detectors in their home. "This can happen to you. This can happen to any of your family members. This was to easy. Way too simple," Gunn said. Kidsandcars.org, a national nonprofit, says since 2009 there's been 17 deaths and 20 injuries due to keyless ignition carbon monoxide incidents in Florida alone.